"The power of accurate observation is often called cynicism by those who don't have it." I have just posted another demo of yet another anti-aliasing technique. I call it Second-Depth Anti-Aliasing (SDAA) since it requires the second depths in the scene, i.e. the depths of the backfaces. Quality-wise it rivals that of GPAA/GBAA and is easier to integrate into an existing engine. What is the difference between Dx 10 and 10.1? The DX10.1 is slightly faster due to the use of Gather(), which halves the number of texture fetches. Does this technique allows alpha texture edges to be antialiased, like GBAA, or not? No, not directly. I think perhaps with some special treatment it can be made to work, but I don't have any implementation of that. However, you could use SDAA to fill out a GBAA-style geometry buffer and then render alpha-tested stuff to that, and finally do a GBAA-style resolve. Hello. I download framework3 . Model::computeNormal(const bool flat) functions, generate normal and tangent, but always generate error normal. part of coplanar normal has error. I generate normal for sphere is ok.
bug use cube always existed part of coplanar normal error. 1. SDAA or GBAA maybe use with DX9? 2. Are you planning to release injected dxgi.dll (d3d9.dll if posible) with SDAA/GBAA (as FXAA)? This is the cleanest and highest quality sample demonstrating deferred rendering with intelligently written lighting bar none. I am attempting to parse the logic involved to OpenGL. My question is do you know of any OpenGL resource that matches your approach? I hate everything about the mess of math involved in translating notations and projection logic and with the sheer number of points of total failure and no point of reference it feels like a sinkhole for time at the minute. 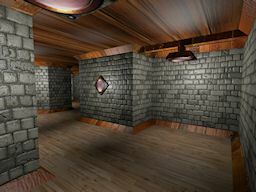 I am desperate for a point of reference in OpenGL with practical lighting and depth reconstruction, if you know of one paid or otherwise please direct me to it. Please do take a look if you get a moment.